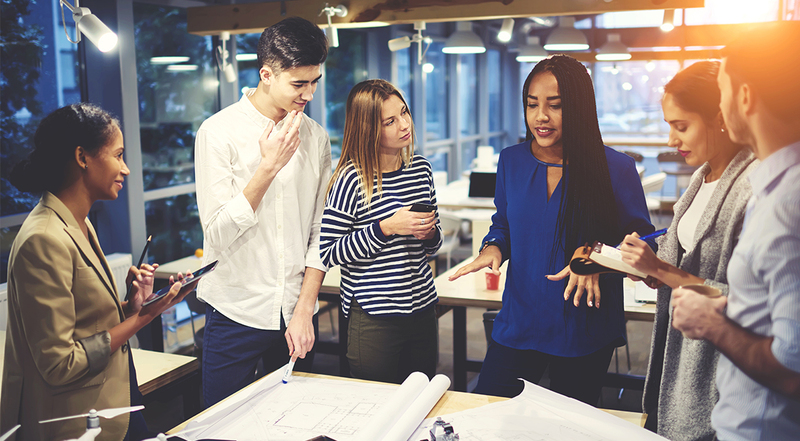 With more and more companies focusing on workplace diversity, it has become of increasing importance to understand how to effectively communicate despite differences in culture. It is necessary to ensure that talent isn’t being missed due to both language and cultural barriers and that ideas and expertise are harnessed regardless of cultural differences. The most effective way overcome such challenges in a multicultural working environment is with open communication and knowledge sharing. Making concerted efforts to build relationships and understand one another will ultimately yield greater resources. Bringing an interpreter onboard who understands a mix of cultures will help to connect the workforce. In the instance of having a large number of a single nationality in your workforce, hiring someone born there but also fluent in English, will be of great benefit. That person can act as a translator for important events, meetings and daily communication. In some cultures, being approached by management can be seen as being weak. Hiring someone else who can be the go-between. A diversity of communications methods is key. Depending on the culture and situation, different forms of communication can be more effective. One culture may be more used to an email, whilst another may prefer a face-to-face meeting. Asking which method is preferred early on will result in happier more productive employees. For example, in some cultures, workers may prefer quiet words of praise rather than being applauded in front of a group. Learning the best ways to communicate will help to unite your workforce. Using both written and visual communication tools when presenting information is also of importance, especially when native speakers are presenting the non-native. If complex spoken word is misunderstood, pictures and diagrams will help to explain things. Avoiding the use of slang and confusing idioms will help. For example, summing up a presentation with ‘in a nutshell’ will leave non-native speakers scratching their heads and wondering how nuts have entered the conversation. In short, use simple, direct language that is easy to understand. Providing regular training for employees is invaluable. Teach the importance of diversity, so everyone will be sensitive to one another. Make sure everyone understands the company’s expectations, and are aware that tolerance and cooperation are a mutual goal.